The hardware is simplistic, the shield has a small relay, a diode, 2 resistors. The 8 pin header has connections for 2 hall effect sensors and the door opener. I used a female header to connect an 8 wire cable to the two sensors. One sensor is for the open position one is for the closed position. That way you can tell whether the door is open, closed, or stuck somewhere in between. 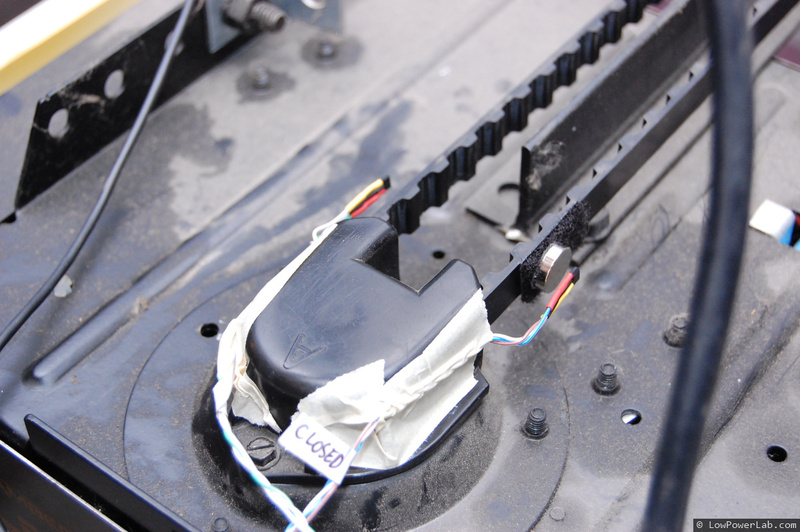 The other two wires are a contact closure driven by the small relay to trigger a door action, and are connected directly to the garage opener. This is equivalent to operating the garage from the regular door opener, and thus GarageMote does not interfere with the normal garage door operation. 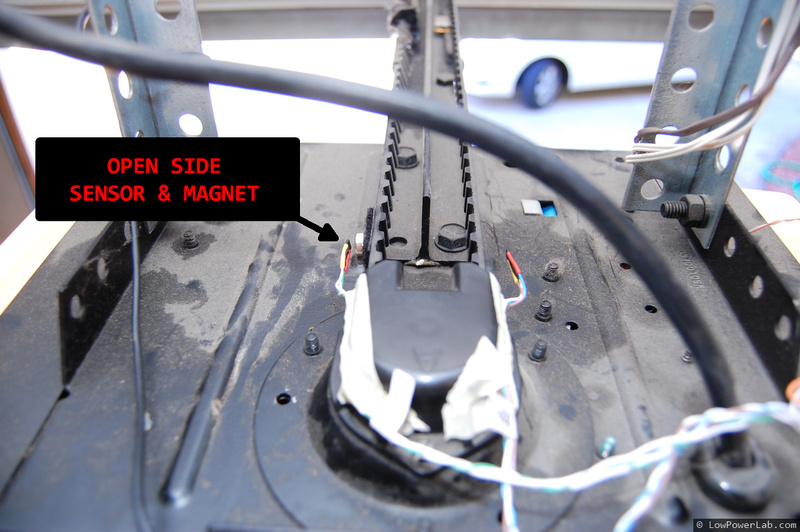 A sender Moteino can then be plugged into GarageMote to read the sensors, report status changes, and listen for door action commands from the gateway. 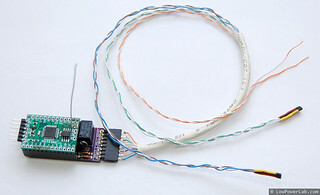 The receiver Moteino is connected to the RaspberryPi, where node-serialport will communicate with GarageMote and other home automation devices on the property. 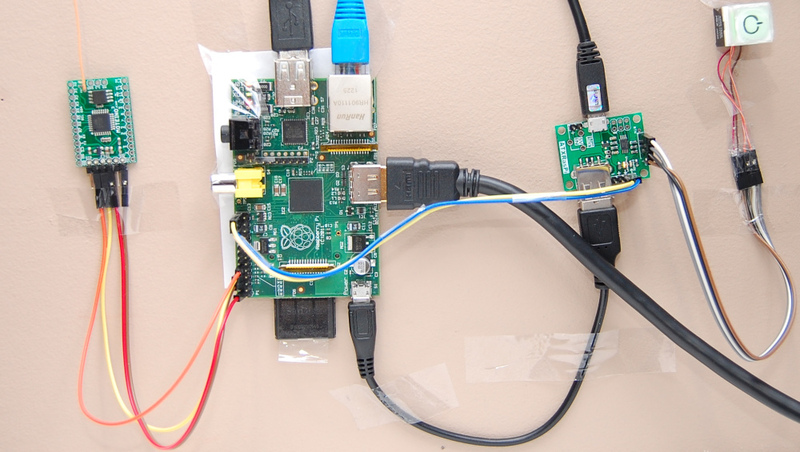 One challenge was to secure the RaspberryPi against eavesdropping and unauthorized access. This is achieved using SSL encryption and authentication. As a webserver I’m using NGINX. The backend home automation is driven by node.js and socket.io, which is proxied through the webserver. All the details of how this is achieved have already been posted in the previous post. //if you comment out this section, you will be able to hit this socket directly at the port it's running at, from anywhere! echo "starting node: $NODE $SERVER_JS_FILE"
Once that is done, you can get the HTML interface to the garage door, and copy it to your /var/www/default directory you created in the last post (copy these files: index.php, icon.ico). If gateway.js has already been started, you should be able to open a browser and point it at your IP address (if you setup port forwarding on your router to point to your Pi) or just the Pi’s LAN address. You will be greeted with the SSL warning page, and then the auth_basic prompt where you need to enter the credentials that you placed in the .htpasswd file (see previous post). The youtube video at the top of this post shows how all this works. The sample code for GarageMote sender and base nodes is posted under the RFM69 library Examples so I won’t include it here. The Eagle files for Garage mote are at Github here. The sample node.js code is posted in its own Github repository. I posted all the other config files for the nginx webserver, startup scripts, and everything you need to get this project going. UPDATE: I updated the code to support some SwitchMotes at the gateway – ie show an example of how you might use them. The code in action turning lights on/off can be seen in this video. This includes: updated gateway.js and index.php, and new PiGateway sketches (with/without LCD) to run on the gateway Moteino. If you’re not using Moteino based hardware you can always adapt whatever you have to this setup. Even the sketches could be adapted for other similar hardware since Moteino is just an Arduino UNO compatible board that includes a wireless RFM12B/RFM69 transceiver. As long as you setup port forwarding to your Pi address (port 80 and 443), you should be able to access this home automation interface from your smartphone when you’re on the road. This is the whole point, to be able to do that securely using a realtime websocket, and have the peace of mind that no one else can access it but yourself. So that wraps up this long series. Whew! It was pretty intensive and it would have been impossible to manage all this content in a single post, that’s why I split it up in separate sections that each address a subtopic. Again, I hope I didn’t miss anything significant. This entry was posted in Code/Library, Home automation, Moteino, RaspberryPi and tagged GarageMote, Moteino, RaspberryPi by Felix. Bookmark the permalink. Have you tried newer version of node.js (v0.10.20)? I haven’t tried every newer version but tried several. I settled with .10.12 because that worked and is very stable. But .10.20 might also, try it! Nice work Felix. Love to see simple/elegant solutions like this. When you get ready to look at DB to persist state across reboots, if you need, check out https://github.com/louischatriot/nedb it is pretty sweet for embedded type lightweight needs. I used to read/write my own flat files, but this is much better. Thanks for the tip, I will definitely check it out! Thanks! BTW – a 3rd party server is also not really a plug and play, and adds another layer of things I’d rather not deal with. Port forwarding is just simple networking. Nice job Felix. Do you have part numbers for the Hall Sensors and Magnets you used? I could not find them listed anywhere. Any small magnets should work. 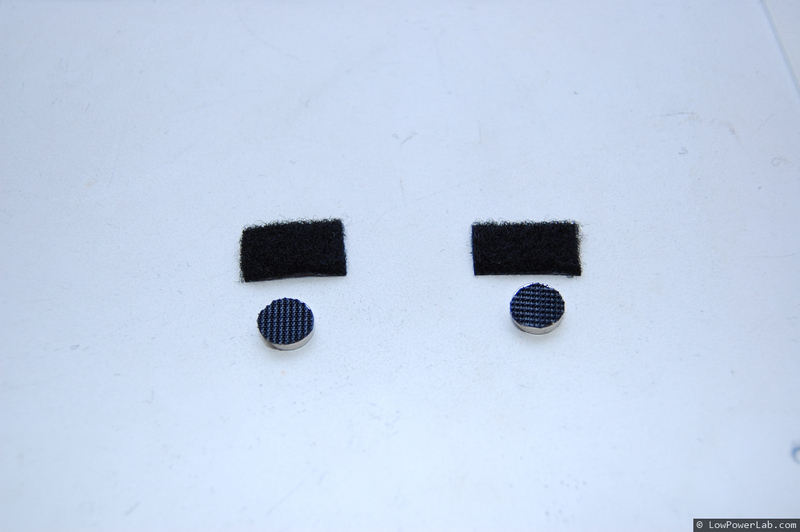 However I did use rare earth magnets which are rather strong compared to regular magnets. 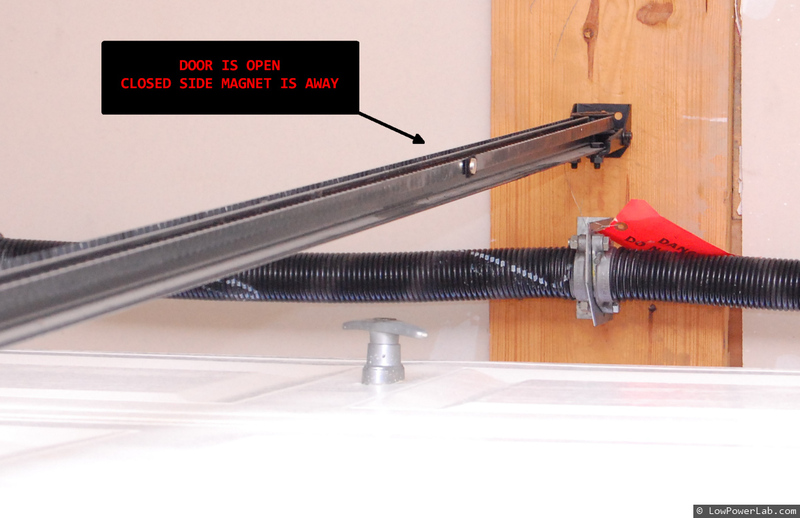 But you can find small rare earth magnets almost anywhere, ie at a local hardware store, or online at ebay etc. I will prepare a kit that will include the sensors but not the magnets due to shipping complications. Thanks for the reply. Looking forward to the availability of the Kit. Nice work Felix! I enjoy your blog very much. 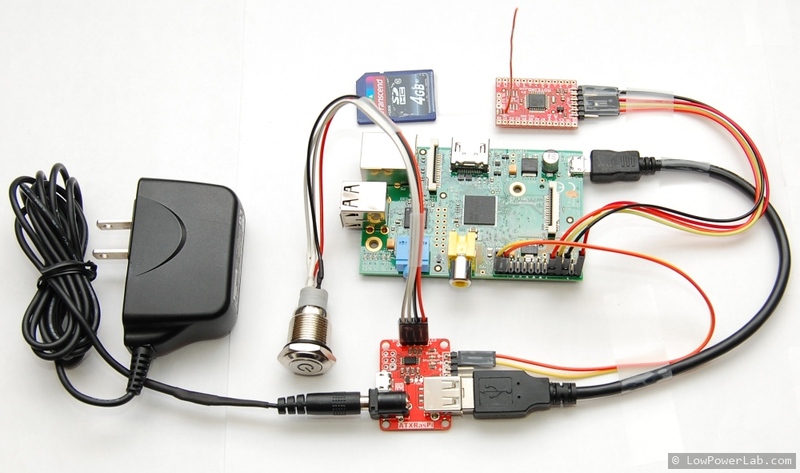 I wondered why you hooked up the radio modules through a Moteino instead of interfacing them directly with the RPi? Could you say something about time delays of your system? First because that’s the main idea behind Moteino and I would not want to rewrite the radio libraries for RPi, second because it’s much easier to let the Moteino do the hard work and read the data serially on the Pi. There are almost no delays, except when I load the interface from my smart phone, there’s some delay because of the mobile network. 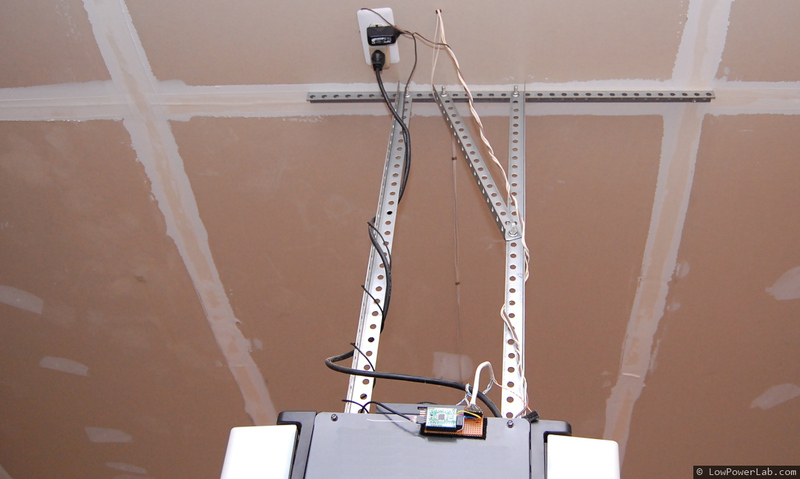 In the last week I decided I wanted to sort out how to wirelessly access my garage door, and after comparing what you’ve done here against (what feels like) all the other options (which I won’t mention because I don’t want to drive traffic, but I’ll just say the commercial solutions, the many that run arduino to relays + iPhone/Android apps, and the awful one that runs off of a bluetooth headset) I really appreciate the work that has gone into actually making this solution robust and secure. However, I’m not planning any other home automation projects for the foreseeable future, and I don’t own an raspberry pi, so I’ll be buying one for this project. I was planning on wirelessly connecting the pi to my home network with a usb wifi dongle. So finally, here are my questions. Can I connect the pi directly to GarageMote and have it operate without too much alteration of your code (i.e., what do I do about the sender node/base node moteino code, is it just passing the GarageMote sensor reads, status changes, action commands to/from the pi)? And if so, is there a reason to NOT connect the pi to GarageMote without moteinos? Thanks Felix! Great Job on the entire project!!! I have been looking for a cheap but secure and robust solution for home networking and stumbled accros your site while looking up Zigbee option… I have one question maybe you or someone knows…. If i wanted to have the RPi basically pole or have sockets(preferred) to a server lets say from goDaddy running a front end can this be done? any tutorials out there? Basically my whole family wants to have this as an option(three homes) and i would like to set it up for them being the Techy in the family. I was thinking of having a central site hosted by godaddy providing a front end that the RPi can connect to and hold a connection for when a user logs into the site. I haven’t been able to find this anywhere for the RPi… Any Ideas???? ?